The colonel’s concern for the men and women of the Canadian armed forces is clear as he outlines the extent to which their government neglected them. 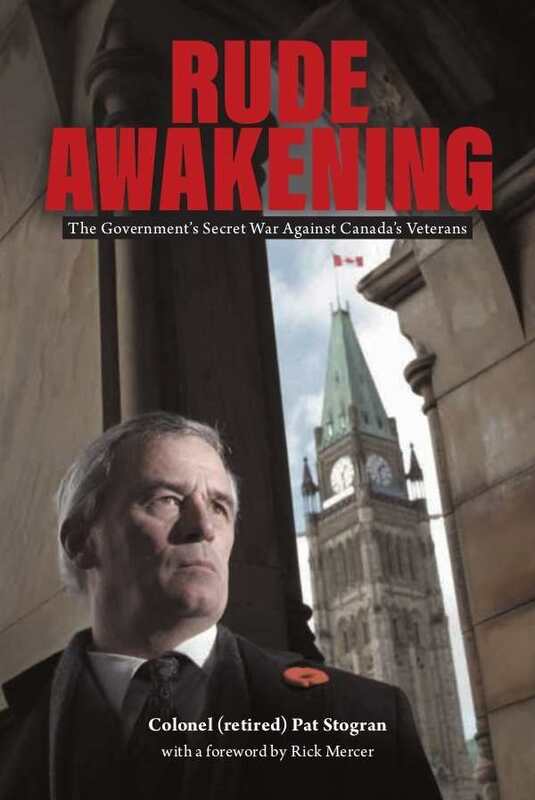 Pat Stogran’s Rude Awakening: The Government’s Secret War Against Canada’s Veterans provides the Canadian public with an effective education on government inaction and malfeasance. After thirty-one years in the service of the Canadian military, Colonel Stogran became the Veterans Ombudsman, the person in charge of acting as a liaison between veterans and the government. While in this position, he began to feel that the government did little to nothing to help vets, even those who were severely disabled. The difficult experiences he had endured during military service were less “traumatizing than the three years I would spend as Canada’s first Veterans Ombudsman,” he writes. “I could not believe how badly we treat some of our most seriously disabled veterans and how seriously dysfunctional our government is.” Over the course of the work, Stogran details situations and actions that illustrate this point. Having served in both Afghanistan and Bosnia and commanded troops abroad, he writes with tremendous authority. Stogran does an excellent job of providing examples that emphasize how the government lets veterans down. One particularly bothersome governmental interference involved a gentleman who was very active in veterans’ affairs. His privacy was violated many times by government officials who accessed his medical records without his consent. Privacy violations are a recurring theme in Stogran’s experiences, and at one point, the government was held financially liable to the tune of $400,000 for these breaches. His service and position increased his desire to make the Canadian public aware of the government’s wrongdoings and of its disrespectful treatment of veterans. He documents his early tenure in the Office of the Veterans Ombudsman and the basic tenets he adhered to. Such openness increases his credibility when he moves on to detail governmental actions, and to criticize the manner in which the government behaved toward veterans. The government did not, he suggests, employ the truly caring and committed model that they publicly touted. Though the colonel’s topic may seem niche, his writing style and insights into military service may generate interest beyond military readerships, and will likely appeal to those interested in military history or veterans’ affairs, Canadian or not.